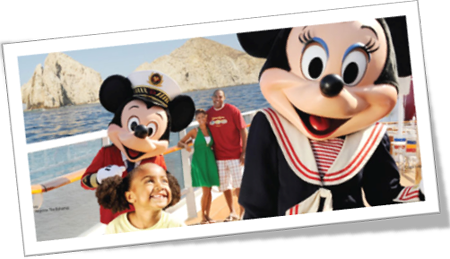 Mickey, Minnie and Guests aboard Disney Cruise Line. 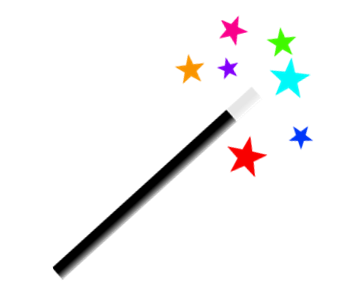 Making dreams come true in brand new ways! Disney Cruise Line offers a unique vacation experience that blends entertainment and adventure with comfort, convenience and renowned Disney service! Crush 'n' Gusher at Disney's Typhoon Lagoon Water Park. High adventure and fun for everyone! Disney Water Parks offer slides and rides for the whole family! Where can you surf 6 foot waves and snorkel with the sharks? Disney’s Typhoon Lagoon and Disney's Blizzard Beach, that’s where! Sleeping Beauty Castle at Disneyland Park. Visit Walt Disney's original theme park and celebrate the worlds of yesterday, fantasy and tomorrow with timeless attractions, dazzling entertainment and magical moments that last a lifetime. There's a magical world out there waiting to be explored—and Adventures by Disney guided group vacations are the best way to go! Knowledgeable and friendly Adventure Guides bring you closer to some of the world's most popular destinations through authentic cultural experiences with local experts. 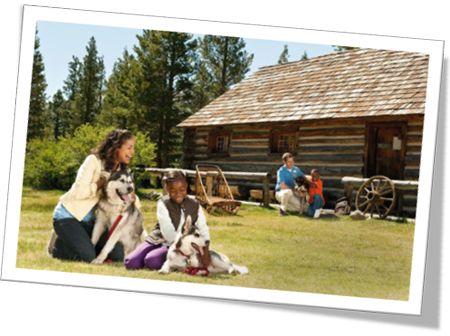 And with VIP access to activities, you and your family can see the world in a whole new way! Mickey and Guests on Castaway Cay - Reserved exclusively for Guests on Disney Cruise Line Bahamian and Caribbean cruise vacations, Castaway Cay is Disney's private port-of-call paradise. On this island, enjoy tropical leisure activities, such as snorkeling, boating, swimming and sunbathing. Mickey's Soundsational Parade at Disneyland Park - There's nothing quite like a Disney Show or Parade! 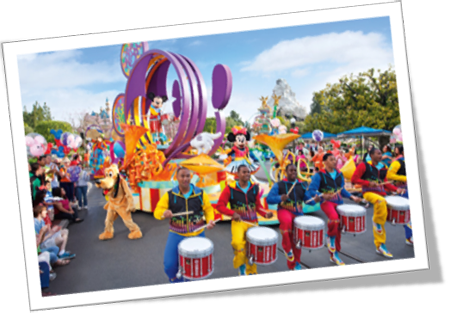 Be a part of the magic as you watch your beloved Characters take to the stage or parade on past. These spectacular shows are for one and all! 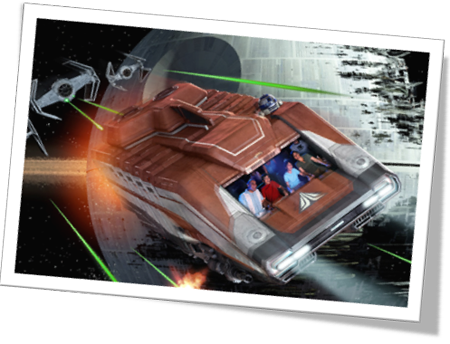 Star Tours-The Adventures Continue - A long time ago in a galaxy far, far away there was a motion simulator attraction titled “Star Tours,” born from the imagination of George Lucas and his iconic “Star Wars” franchise. This extremely popular attraction is sure to please all Star Wars fans and is located at Disney's Hollywood Studios at the Walt Disney World Resort and at Disneyland Park at the Disneyland Resort. Pure Magic Vacations is a family operated, Canadian business that came to be when after several visits to Walt Disney World, we had neighbours and friends asking for Disney advice. They saw our passion for Disney and it was contagious! Carolyn, the owner of Pure Magic Vacations, then returned to school and received her certificate in travel and tourism. She then joined a team at a large national travel agency to gain experience and further her knowledge of the travel industry. After a few years, it was time to move on, and Pure Magic Vacations was born! We are so pleased you took the time to visit us. We look forward to working with you and adding all the Pure Magic touches to your vacation that you and your family so deserve. We are unique in our concierge level of service, no hidden fees ever, extra touches of magic added to all vacations....always! WELCOME TO PURE MAGIC VACATIONS!! We are so glad you stopped by! 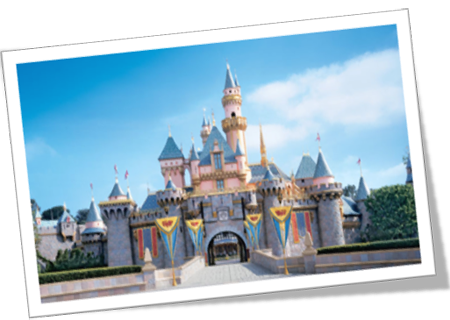 Pure Magic Vacations is a very special travel agency offering you the very best in Disney planning. We offer the most comprehensive itinerary planning in the business and pride ourselves on booking the most desired dining reservations and special events. MY DISNEY EXPERIENCE created several new layers to planning the perfect Disney adventure and we are here to help! From initial set up to the last dining reservation, we will guide you through as much of the planning as you like, or we will plan the perfect itinerary on your behalf. We are always watching the offers that come from Disney and always book your vacation like we book our own vacations, getting the very best value for you and your family. We listen to your wish list and try our best to make it all come true. We realize that we are not the only Disney focused travel agency out there, but what makes us different is our experience. 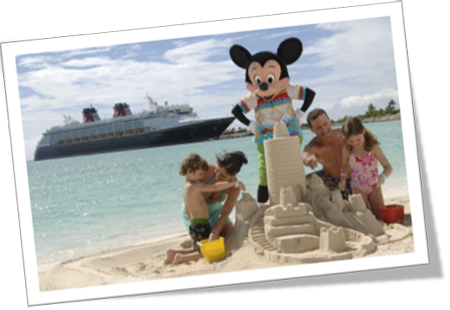 All the agents at Pure Magic Vacations have traveled extensively to the Disney Parks and cruised on the beautiful ships of the Disney Cruise Line. We are Disney Vacation Club Members and all the agents are graduates of the College of Disney Knowledge and the Agent Education Programs. We never add additional service fees to any Disney package and we LOVE sharing our knowledge and experience with our clients. From the very first moment that you contact our agency, we are working to find the very best deal for you and we are excited to share our passion for all things Disney! From the first inquiry to the day of departure, we are working to make sure no detail is missed and we are always available to answer any questions or concerns while you are on vacation.